On October 30th, 2015, The Hospital of Wolfsberg, Austria is hosting a seminar, at which doctors Kazem Nouri, Martin Langer, and Maurus Demmel will be speaking regarding their involvement with the Virtue Foundation. 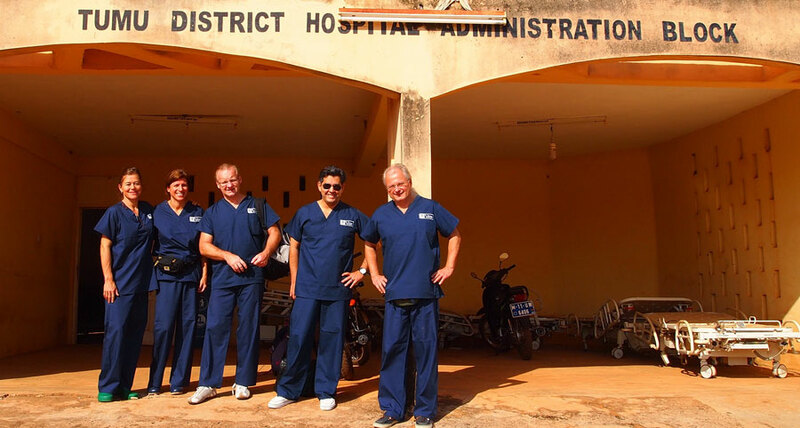 This team of longstanding volunteers has traveled to Ghana on behalf of Virtue Foundation in the past as part of the Ghana Surgical and Medical Mission. The meeting in Wolfsberg will serve to share the past work of the Virtue Foundation volunteers in Ghana and also about the upcoming Mission to Ghana in November 2015, giving prospective volunteer doctors, nurses, and medical staff insight into the project. Returning to the Hospital of Wolfsberg to share the Virtue Foundation work also continues a fruitful partnership with this institution: in 2013 the Hospital of Wolfsberg generously donated a specialized ultrasound machine to Tumu District Hospital to help facilitate the proper screening of women. This machine has become an asset to the hospital and community at large.